This is a demonstration of consecutive explosive moves in Taijiquan (Tai Chi), by Grandmaster Chen Xiaowang. This kind of movement is called Fajin, where 发 means issue, or pour out, and 劲 means power or force, with a sense of fluid force, as trained in Taijiquan (Tai Chi) and expressed by the river radical in the traditional character 勁. One of the goals in Taijiquan (Tai Chi) practice is to become able to concentrate whole body spiral power a single impact point, in an explosive move. It requires the body to be free of blockages for Qi circulation, and a Taijiquan (Tai Chi) Master can choose any part of his body as the exit point. 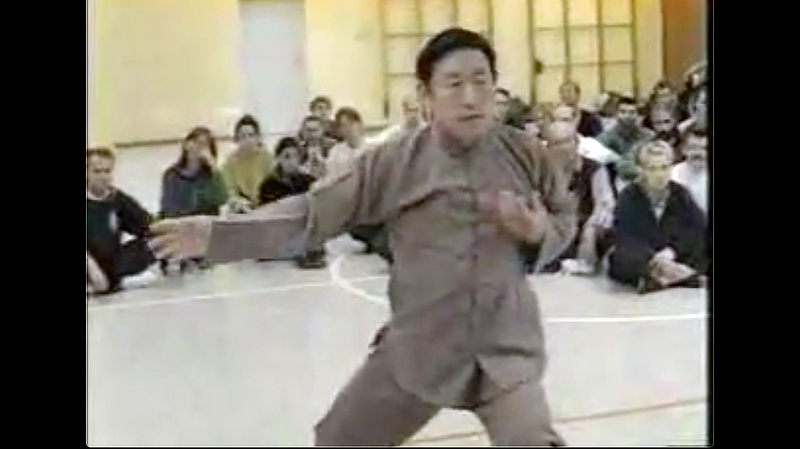 Bear in mind, when watching this video, that Chen Xiaowang was about 60 years old when it was recorded, and he had arrived in Germany to teach a Taijiquan (Tai Chi) seminar the day before, in an intercontinental flight.